Enter into awards with a marketing and PR plan. Now I say it’s not often, the truth is, it has never happened. Ever! And let us be honest here the very words ‘integrated marketing‘ isn’t at the forefront of most business owners mind. However, they do totally understand the value of publicity. So it not only surprises me, but why bother entering if you don’t have some plan to gain long lasting PR for going through the entry process in the first place? And when I say long lasting I mean utilising an integrated marketing approach of paid, earned, shared and owned media. When used well, all four converge perfectly to help tell your winning story to a wider world. That means your potential customers. And also to your existing customers – who’ll usually be proud to share your success for you. 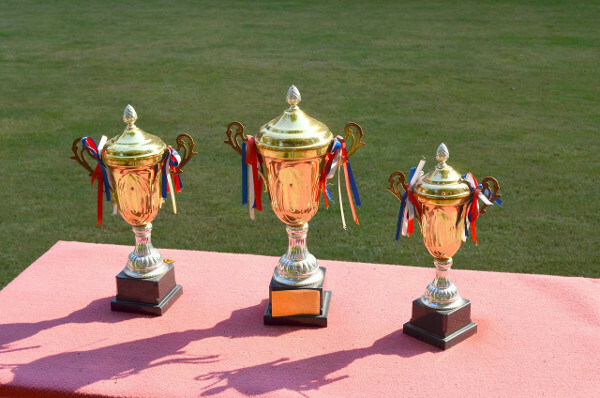 My top tip here is enter into awards with a marketing and PR plan firmly in place. 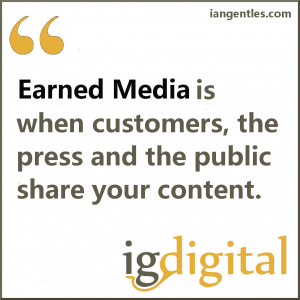 The concept of paid, earned, shared and owned media has content marketing at the center. Luckily, small businesses are starting to become savvier at creating and curating content. As more companies (the media outlets already have) adopt digital content marketing and integrate their marketing activities across paid, earned, shared and owned media channels, there’s a HUGE opportunity for you to tap into the real expertise of the PR and marketing world that includes SEO benefits via the digital outlets. Of course using all four isn’t exclusive to award winning. In the new world you can now tell a story or create useful content that benefits audiences that transcends all things traditional media. 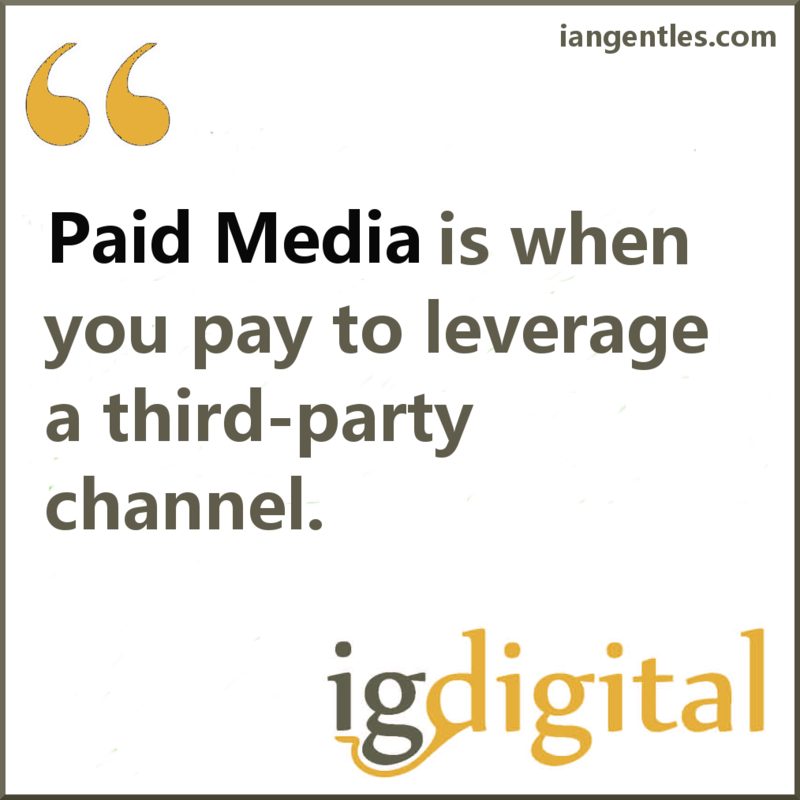 Make no mistake, paid media isn’t just about buying advertising space. It’s moved on from that old broken model of yesterday. It’s about telling an engaging story, and the goal is to educate rather than the push advertising model that has been broken for years. Would you rather pay for an advert, or honest editorial? That could be shared and linked to. And how would your potential customers prefer to be informed? Think about that last question. What would you prefer to read, listen to, watch? Paid for media coverage is growing simply because it offers higher value to the audience. 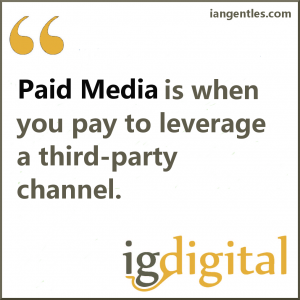 Paid media is when you pay to leverage a third-party channel. That could be things like sponsorship’s, native advertising, paid content, and advertising on third-party sites. Now when you bring all three approaches together across an integrated marketing platform. You give YOUR business every chance of gaining more business. All you need to do is create the marketing road map and make it happen. They say there is nothing better than someone else waxing lyrical about your achievements. You become famous in your field of expertise in the full glare of whatever media promotes YOUR accomplishments. 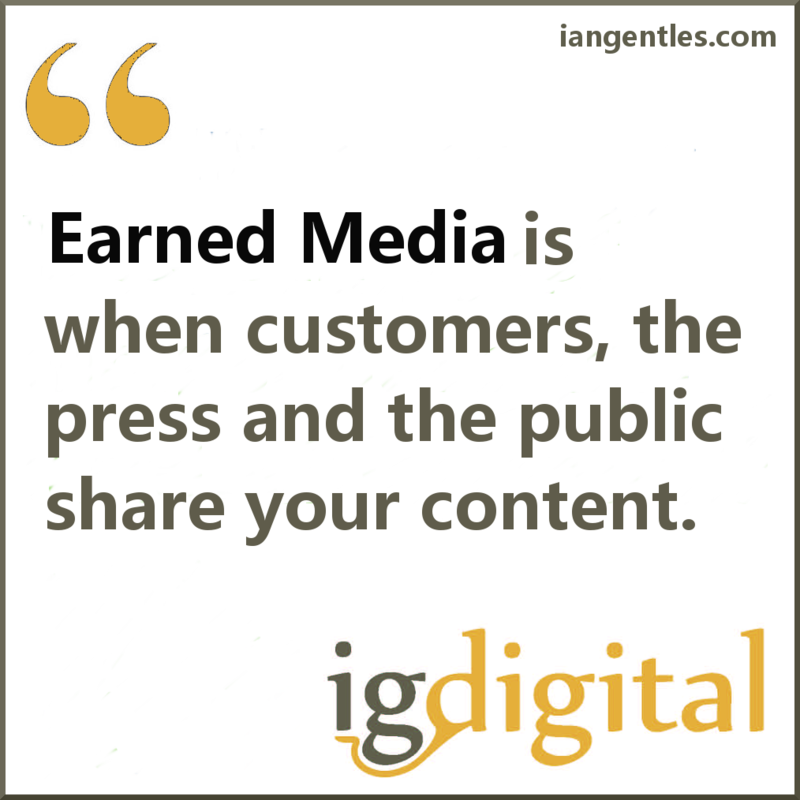 That’s what earned media achieves – it boosts your fame (credibility) factor, which then attracts interested customers. Another bonus is, this whole earned media thing has moved on bounds since the old days of only TV, radio, newspapers, magazines, and word of mouth down the local pub. It’s moved into the digital age. Your success stories are being published online. Which means you have links to the publicity that can be shared. Or you can link them to your blog as another example. I’ll not bore you with the rather useful SEO benefits here, but be assured, they can be ramped right up with an integrated marketing approach. 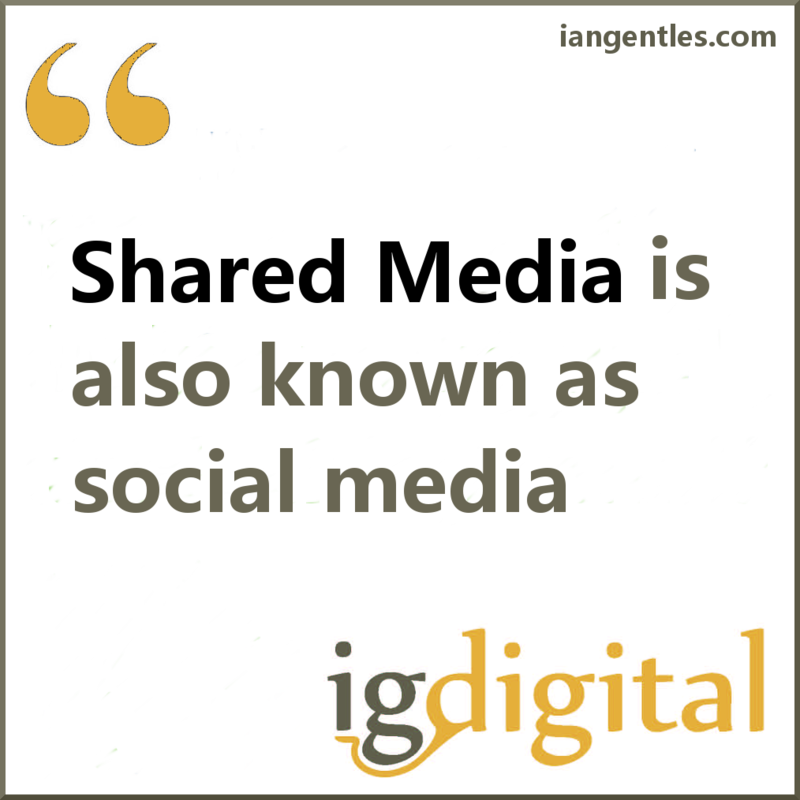 Shared Media Is Also Known As Social Media. Shared Media is largely influenced by social media activity. It’s evolving as well, and continues to build beyond just marketing or customer service teams using it. It also overlaps with the other three, revolving around shared content, word of mouth, referrals, community-driven content, co-creation, etc. This is an area where both content marketing and social media marketing really come into play. 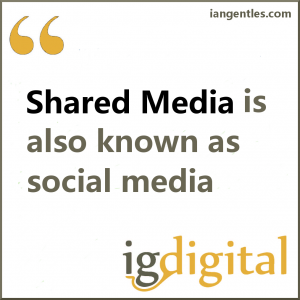 Shared media is the result of a shared interaction. Because of the viral nature of social sharing and engagement on social media sites, Shared Media can very quickly propagate across an individual’s network to others, and so on and so on. Paid and Owned Media can inspire Shared Media. 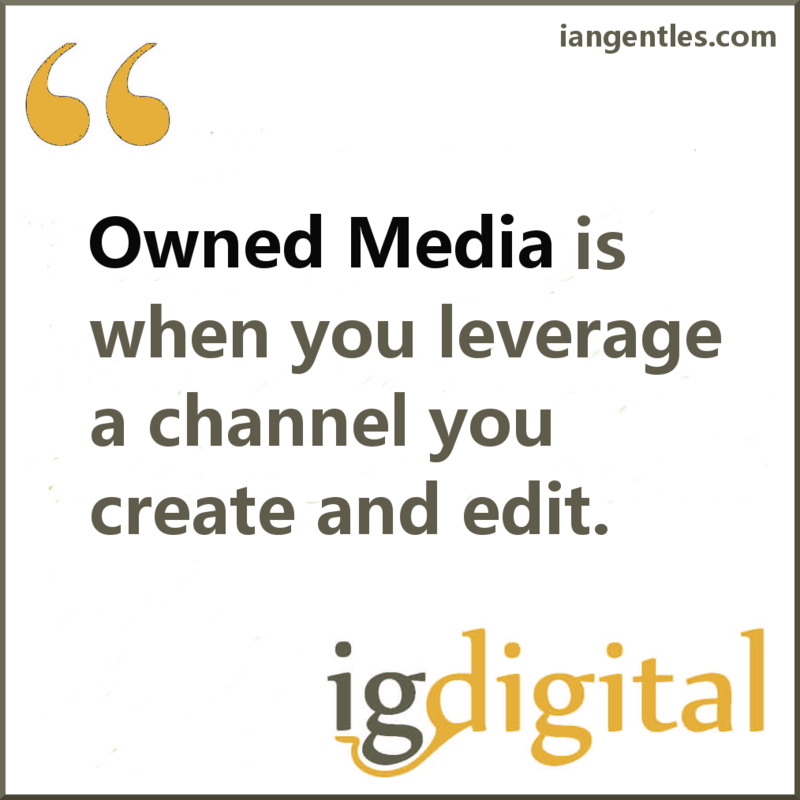 Shared Media can inspire Earned Media. Some consider that needs a new term called Converged Media. As you can see it makes perfect sense taking an integrated approach to marketing. What I see happening is, some businesses will maybe blog about their winning experience with a couple of photos added in for good measure. The adding in of a few images only really comes about if they were already prepared. You know, to have someone available to take them in the first place……as they take the industry accolade to the applause of the crowd. There could be the official photographer who’ll forward the photo’s. They may do that for free. Or they may not. While we’re here we shouldn’t forget video. Either from a smart phone, or from the professional videographer. Both are useful content. The business will of course create a Facebook or Google+ post telling their followers how trilled and surprised they were to receive such a prestigious award. Again adding in those all important images/video or both for maximum effect. Oh, they may also Tweet about it. Or maybe share it on LinkedIn. They’ll of course include the link towards their blog or the Facebook / Google+ post where their whole story and photos/video can be enjoyed by whoever clicks the link. Hopefully a potential client. Maybe a journalist looking for a story. And then that’s it. I also see many who don’t even do that. Regardless of what they do or they don’t, the opportunity to really turn up the volume and shine a light on your business is HUGE. A shared blog post to a journalist, a forward link towards a potential client. The possibilities are endless. If you do it! 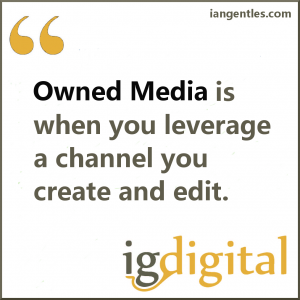 Owned media is when you leverage a channel you create and edit. This could be your company blog, your website, or even your social media pages. Even though you don’t strictly “own’ your social feeds, you do edit them and don’t have to pay for basic usage. For sure it’s pretty useful to have channels and content you own. However they alone are not enough. What small businesses lack with their owned channels is reach and reputation. The last one ‘reputation‘ is really obvious but often missed. That’s where earned and paid media come in. They extend your reach and fast track your reputation. To be really successful, you need to amplify and scale your owned media channels linked to where the story has been told via earned and paid media. Firstly recognise that there is a cost to every channel — time, money or both. If you do a little research you’ll find paid media costs a whole lot less than the here today gone tomorrow advertising. Want to win in the world of digital marketing? 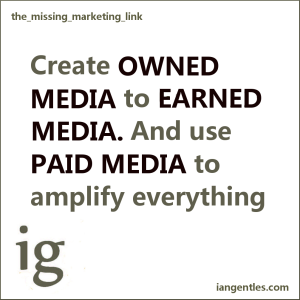 Based in Banbury, Oxfordshire, Ian Gentles Marketing can help you maximse your marketing online and off line. 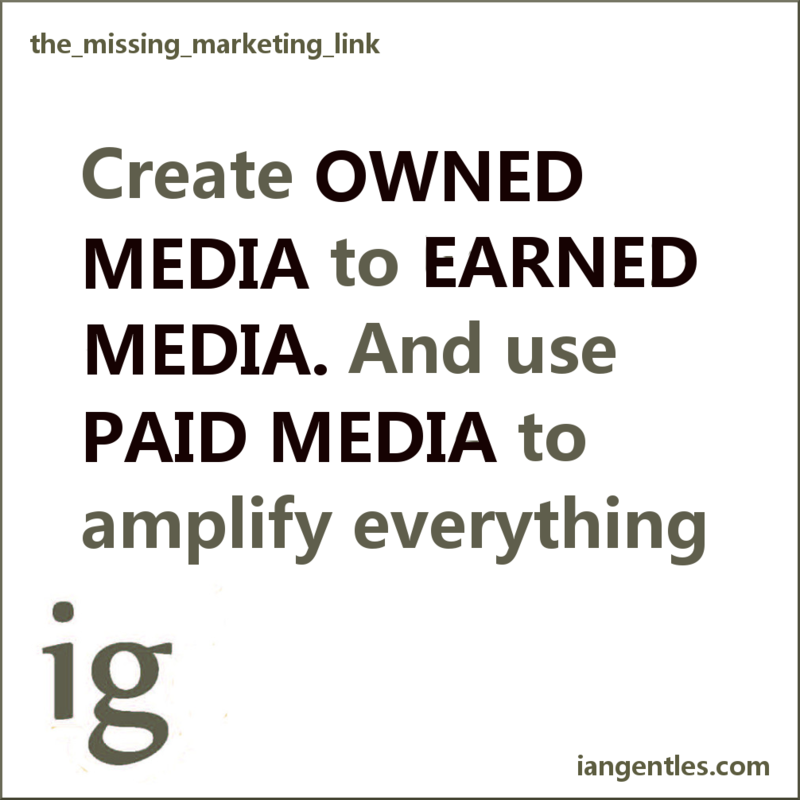 Contact Ian Gentles Marketing today by email, text message or phone call 07511 217 984, and we’ll call you back.